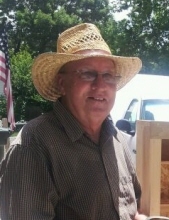 Don Keith Manar, 70, of Fulton passed away at University of Missouri Hospital on Friday, March 29, 2019. He was born on January 2, 1949 in Vernon, Texas, the son of the late Dan Manar and the late Ruby (Pietsch) Manar. Don was married to Mercedes (Arrieta) Manar who survives his passing. Don moved to Missouri 7 years ago to enjoy the simple life with his family after retirement. Don will be remembered for his kind heart, love of animals, and strong faith. He spent his days fishing, woodworking and enjoying the outdoors. Don had a cowboy's soul and in his younger days loved riding horses and playing guitar. Along with his wife, Don will be fondly remembers by daughters, Tiffany McBee (Husband Steve) of Fulton, Courtney Angelas (Husband Felix) of the State of Washington, and Dulce Mina Sanchez Castillo of Los Angeles; grandchildren, Austin (girlfriend Stacie), Dalton, Roman, Elena, Emily and Breanna (Husband Brandon Hart); and great-grandchild; Delilah. To send flowers or a remembrance gift to the family of Don Keith Manar, please visit our Tribute Store. "Email Address" would like to share the life celebration of Don Keith Manar. Click on the "link" to go to share a favorite memory or leave a condolence message for the family.